Custom bowls, cereal-infused coffee, and fresh Eggo waffles will be served up from an open-concept kitchen. 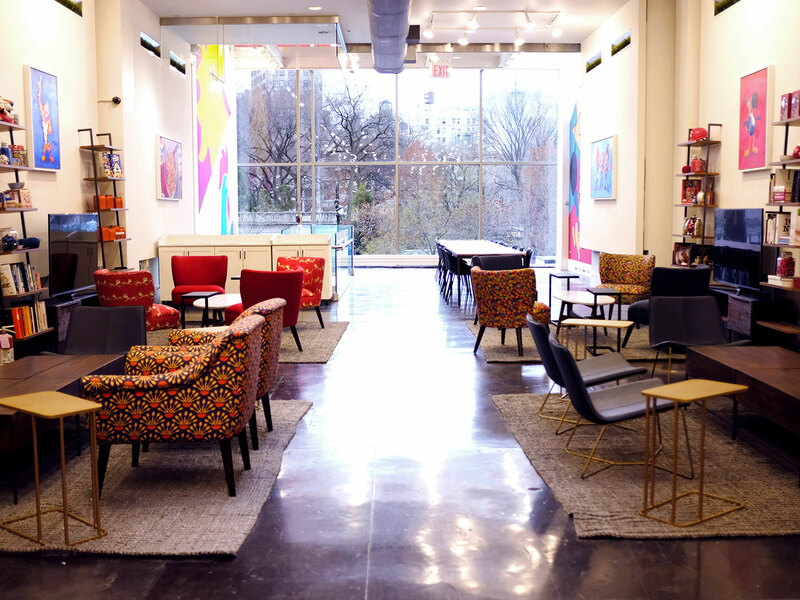 If you’ve ever thought that taking a quick coffee break, powering through a work project, or just catching up with a friend would be better over a bowl of cereal, Kellogg’s NYC’s new Union Square location is the casual hangout spot of your breakfast-loving dreams. 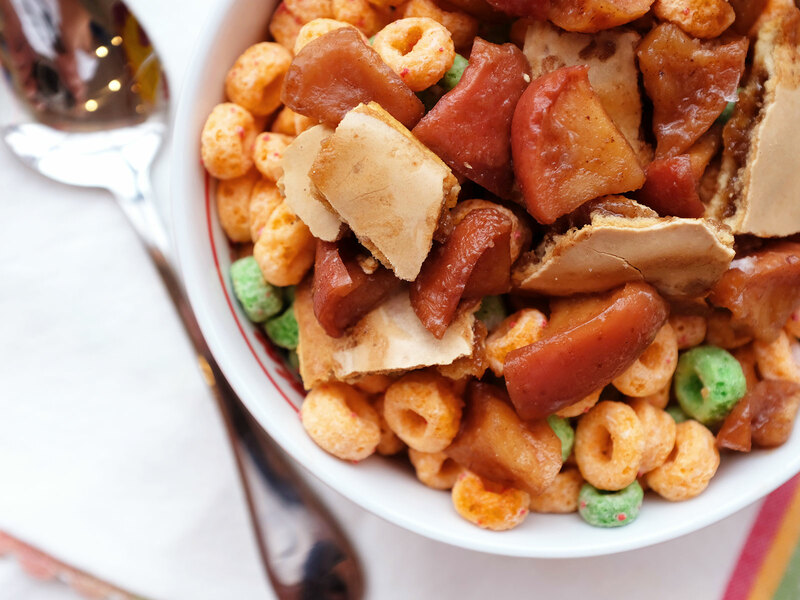 Opening December 14, the airy, second-floor space overlooking Union Square is the sequel to a Times Square location that saw cereal fans dropping by for a quick bowl. But this new space aims to turn that fast-paced concept on its head with a focus on chilling out and playing with your food. 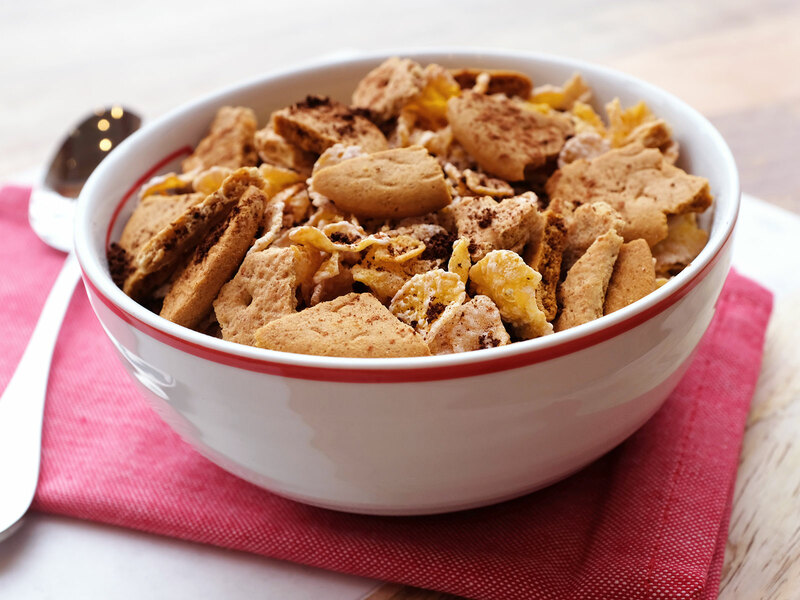 Kellogg’s NYC opened its inaugural pop-up location in July of last year with a bang—or, rather, a snap, crackle, and pop. Offering a sweet spot to take a break in Times Square, the cozy location housed about dozen tables and served food automat-style, with orders prepared in the back kitchen and put into lockers for customers to pick up. The breakfast food-fueled eatery brought in Christina Tosi to design some of the menu and prove that a bowl of cereal could be for than just flakes and milk and the restaurant’s late hours aimed to showcase cereal’s (and cereal-ified treats like milkshakes, sundaes and Pop-Tart parfaits) anytime-of-day appeal. 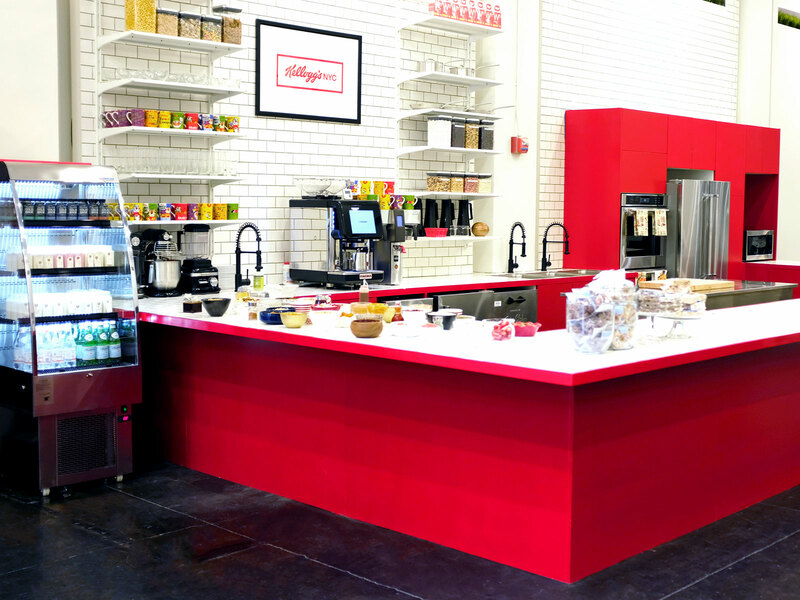 After a successful first run, Kellogg’s NYC is now opening its doors once again to a location that’s five times bigger and puts much more of the creativity in the customer’s hands. 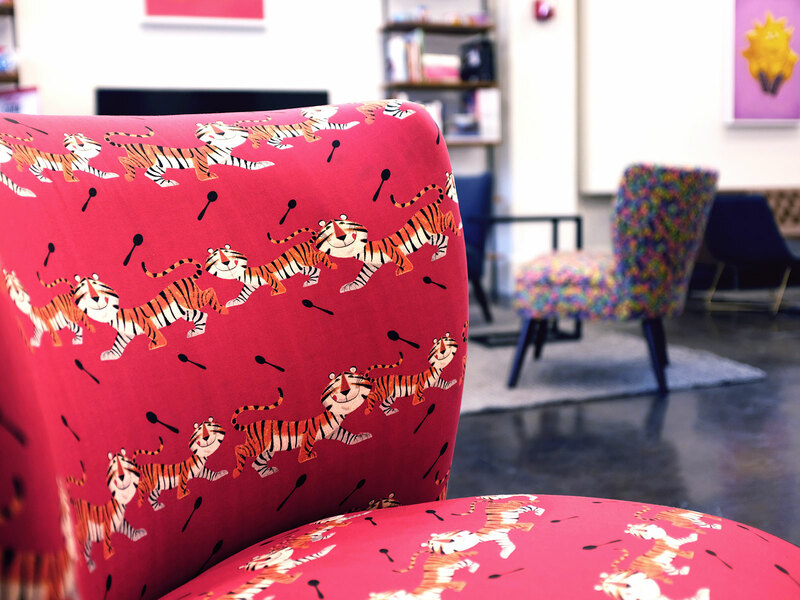 The café is a collaboration with branded retail space firm Co.create, founded by Sandra Di Capua and Anthony Rudolf, formerly of Eleven Madison Park and Thomas Keller Restaurant Group respectively. (In fact, an event at the pop-up space included adding bowls from Thomas Keller as well as Daniel Boulud to the menu for a limited time). Di Capua gave Food & Wine a first look tour and taste of what to expect at the brand new space. 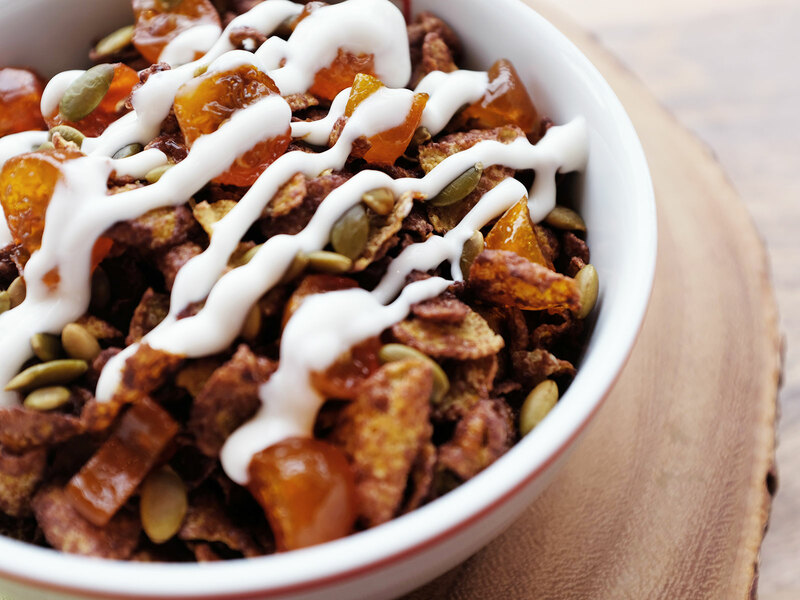 Of course, cereal is still the focus and while it will be served by the staff or self-served by customers in its familiar bowl form, the café will continue its campaign of challenging customers to reimagine the breakfast staple. Nine signature bowls will be on the menu, including three designed by TV personality and author Lauren Conrad for the launch. Those include the “Nutty Parfait,” with Raisin Bran, Cracklin’ Oat Bran crumble, dried cranberries, toasted peanuts, and peanut butter chips, “Apple Pie,” with Apples Jacks, cinnamon-roasted apples, salted caramel, sea salt, and Brown Sugar Cinnamon Pop-Tart crumble, and Wake Me Up, with Frosted Flakes, gingersnaps, pumpkin spice, and graham cracker crumble. Other bowls on the menu include the returning “Corny Blues,” a Tosi creation from Times Square that tops Corn Pops with lemon-blueberry jam, and the new “#KumquatLife,” with Chocolate Frosted Flakes, candied kumquats, cardamom yogurt, and toasted pepitas that mixes bitter, sweet, tart and spice in a satisfyingly unexpected way. And what would a café like this be without a secret menu? 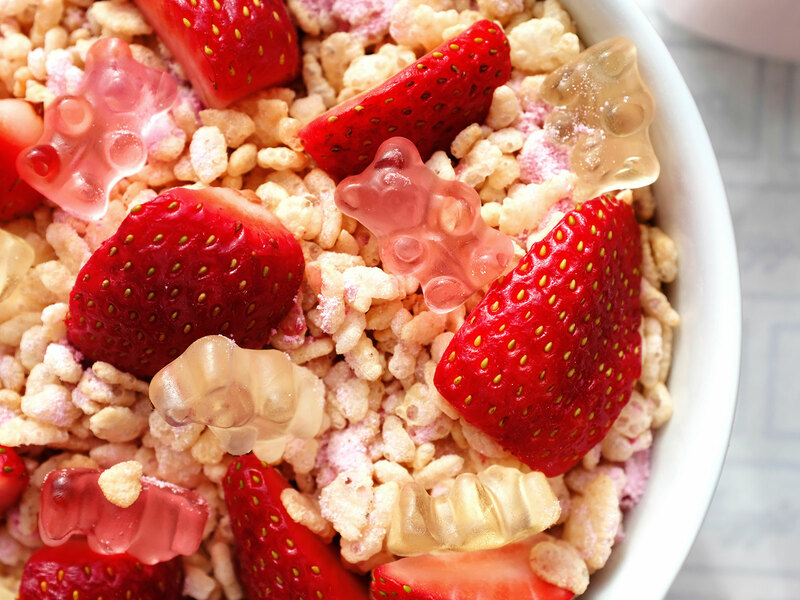 Conrad also dreamed up the “Make Me Blush,” with Rice Krispies, fresh strawberries, champagne gummy bears, strawberry powder and strawberry milk. 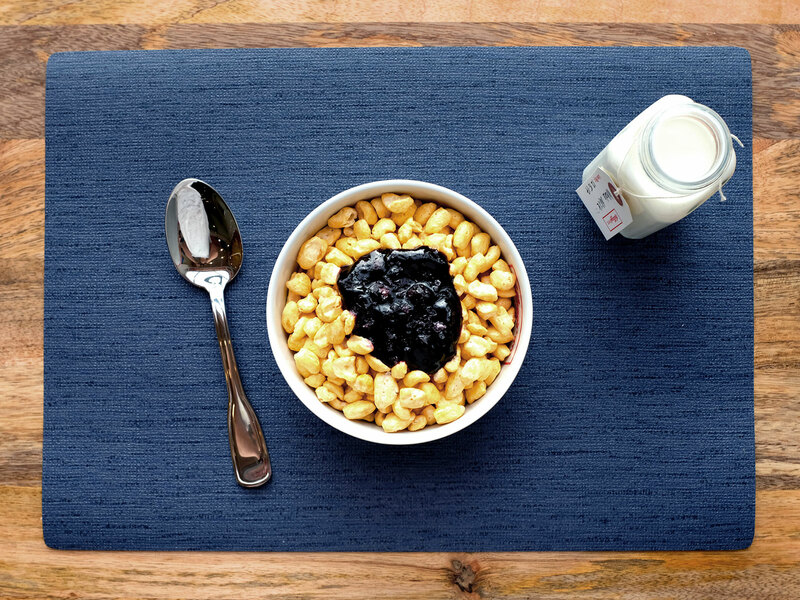 Aside from the set menu, customers can customize their own bowl creations. 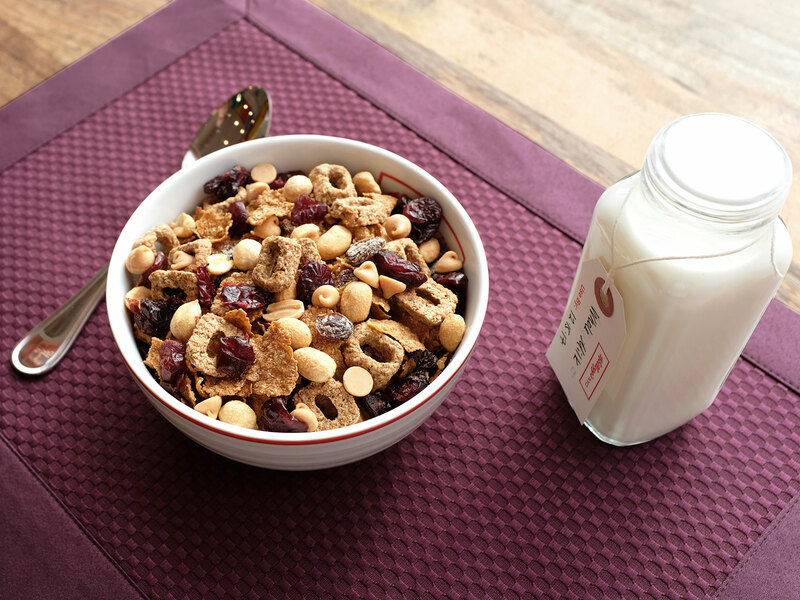 “You grab a tray, pick a bowl and fill it with whatever cereals you want. And then you can come over [to the kitchen] and we’ll make a bowl for you or you can go crazy and do your own thing,” Di Capua says. With a 30-ingredient topping bar, go crazy might be an understatement. 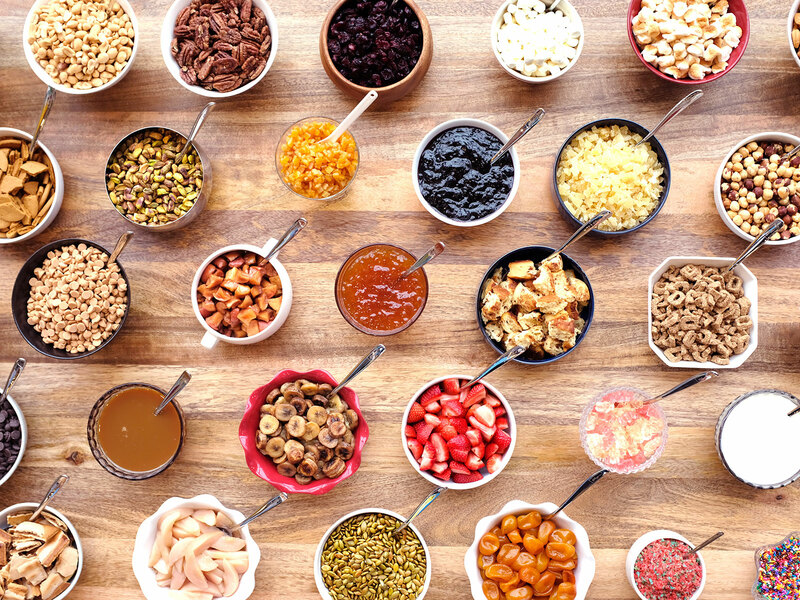 The buffet of options ranges from the traditional to the more “food forward.” That includes items like torched marshmallows, poached pears, cinnamon roll croutons, cajeta, date molasses tahini, maple bacon pecans, matcha powder, and pumpkin-spiced pumpkin. Some of those customizations will take advantage of the new kitchen space, which will make strawberry and peanut butter infused milks, bake cinnamon rolls, and roast apples on site. The coffee lineup also delves into cereal territory with a trio of beverages like the Frosted Flakes cafe au lait, a blend of coffee and Frosted Flakes-infused steamed milk which isn’t as sweet as it sounds but also has some distinctly corny notes to the beverage. 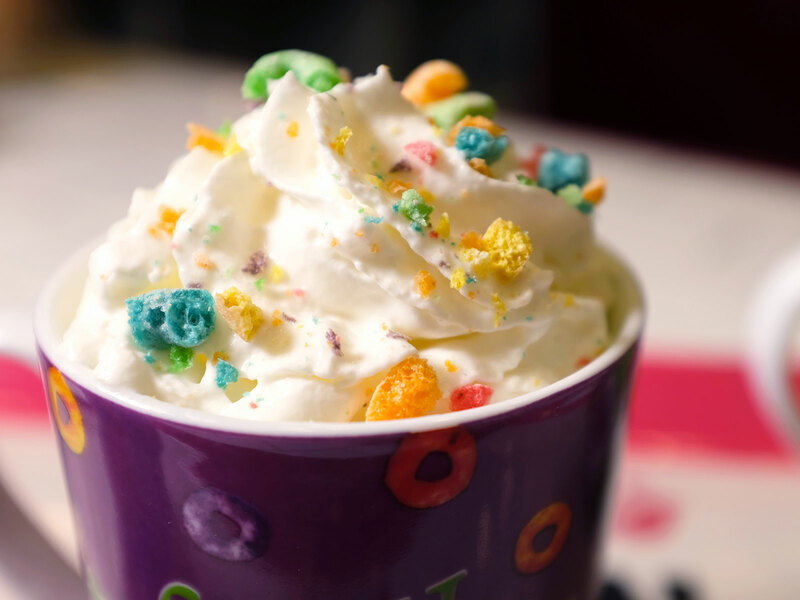 There’s also a Froot Loops white hot chocolate and an Apple Jacks steamer for the less caffeine-inclined. Partnerships with Oddfellows and Treat House supply ice cream sandwiches and Rice Krispies treats as well. 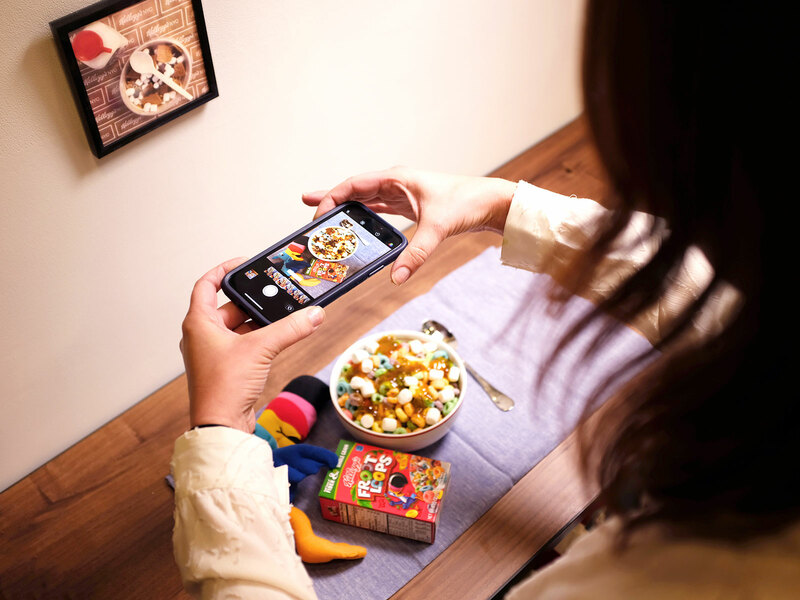 A menu this colorful also begs to be Instagrammed, and that notion isn’t lost on the team behind the café who have set up a small photo studio with lighting and props that allow anyone with a smartphone to take some drool-worthy snapshots.